Two cousins attempt to win favor and control Queen Anne of England in Yorgos Lanthimos’s THE FAVOURITE, which opens the New York Film Festival tonight. The film has Emma Stone making her way to the court of Queen Anne in order to ask her highly placed cousin Rachel Weisz for a job. Stone’s father has fallen into ruin (he lost her to a German gambler on a bet) and she is hoping that her cousin will take pity on her. At first Weisz gives her a job as a scullery maid, but as circumstance presents itself Stone climbs up the ladder winning the ear of the queen and ultimately replacing her cousin in a place of power. 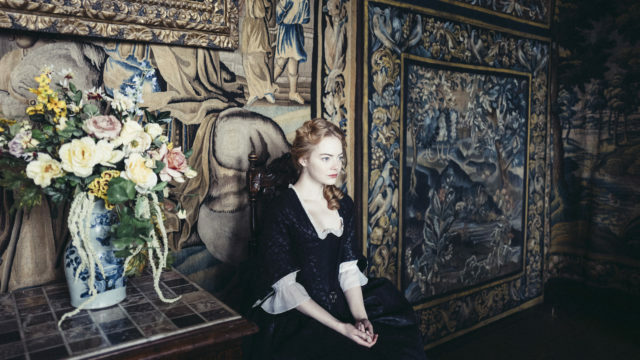 Filled with bitchy lines and wicked turns of plot (and based on history) the film is a kind of 17th century version of THE WOMEN, only meaner. The dialog is so good that I suspect that numerous lines will end up being quoted from here on out. 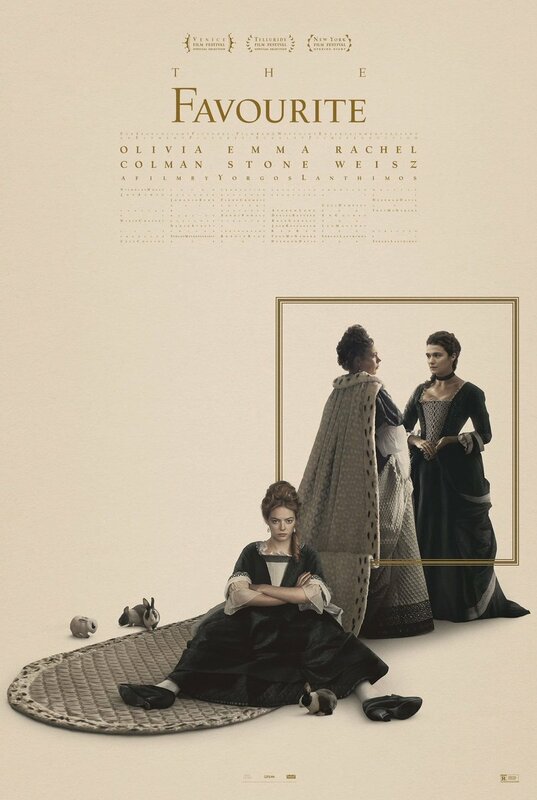 Equally good are the three leads (Stone, Weisz and Olivia Colman as the Queen) who play a grand game of one upsmanship pushing each other in to the realm of Oscar contention and more importantly into cinema legend. While the darkly comedic film is being touted as a sure fire Oscar contender for Best Picture I think people are putting the cart before the horse. While there is no doubt the film is very good, it’s a little too idiosyncratic to fully win the hearts and minds of the whole Academy and, for that matter, many average film goers. This is a film that critics love but which leave most others shaking their heads at all the love. I think Hubert Vigilia’s description of the film as Monty Python’s Barry Lyndon is strangely apt. Personally I like the film but I don’t love it. To me it’s a film that it much too calculating to wholly work with some intentional anachronisms in language and behavior (not to mention disco dancing) thrown in randomly for no really good reason other than to provoke a laugh. I also have severe problems with the plotting (especially in the third act) which has too much happen much too fast. Stone’s overnight drunken turn into a monster just doesn’t work as does most of the plot turns which seem to be dropped in a desperate need to keep the film at two hours. 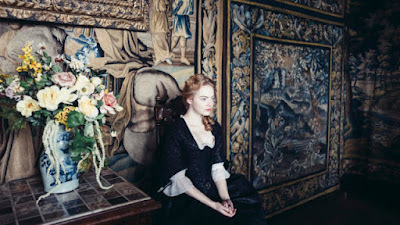 For me the film has the feeling of a lightweight Peter Greenaway film with it exploring themes of power and privilege he covered in films like BABY OF MACON or GOLTZIUS AND THE PELICAN COMPANY (or even NIGHTWATCHING). Is it worth seeing? Yes. There is much in the film that is as good as you’ve no doubt heard. On the other hand it’s not quite the complete triumph that the other critics are proclaiming from the ledges that they have gone out on.